When design demands extremely low profile devices, Intervox offers a distinct selection of piezo elements to meet virtually any application. This includes standard external drive elements, types with feedback electrode, and double sided ceramic models. 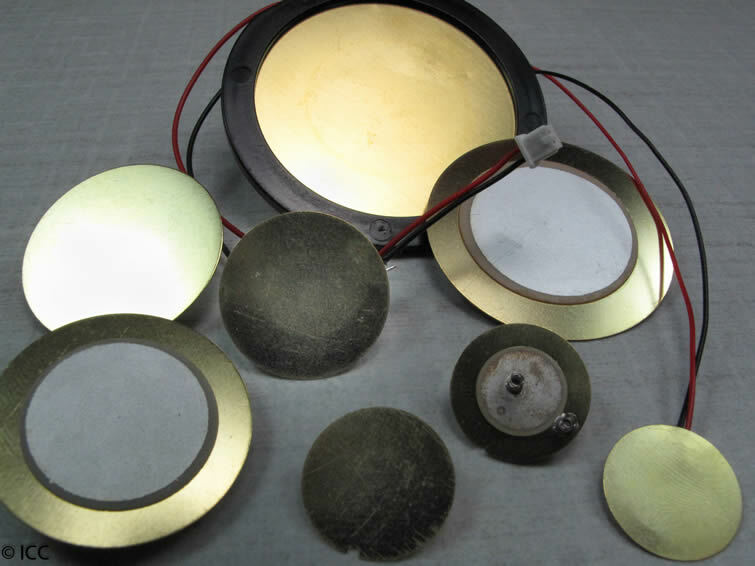 Piezo elements are available in brass or stainless steel material. Intervox is also prepared to customize our elements by adding wires and connectors when necessary. Please contact us for more information on this product category as all elements are made to order.